Composting your kitchen waste vs domestic solar power: which cuts carbon more? Want to do your bit at home to save the planet, and make your effort worthwhile? Install a compost bin! Which makes for a greener life? Composting your kitchen waste or domestic solar power? Both are in the spirit of "think global, act local." Composting your kitchen and garden waste saves landfill space. It also reduces methane production and global warming. Adding your shredded sensitive documents protects you from ID theft, and helps the composting! I am tickled by the idea of worms mincing my words. Bad guys can't piece togther what the worms have chewed! Dumping your waste in the bin for the council to collect results in much or all of it ending up in scarce landfill. There it produces methane by anaerobic (airless, oxygen-free) breakdown. As much as 97% then escapes into the atmosphere. Also, toxic compounds can leach into the surrounding area. CO2 is a greenhouse gas (GHG), but methane is far more potent (more than 20x) at retaining heat in the atmosphere. 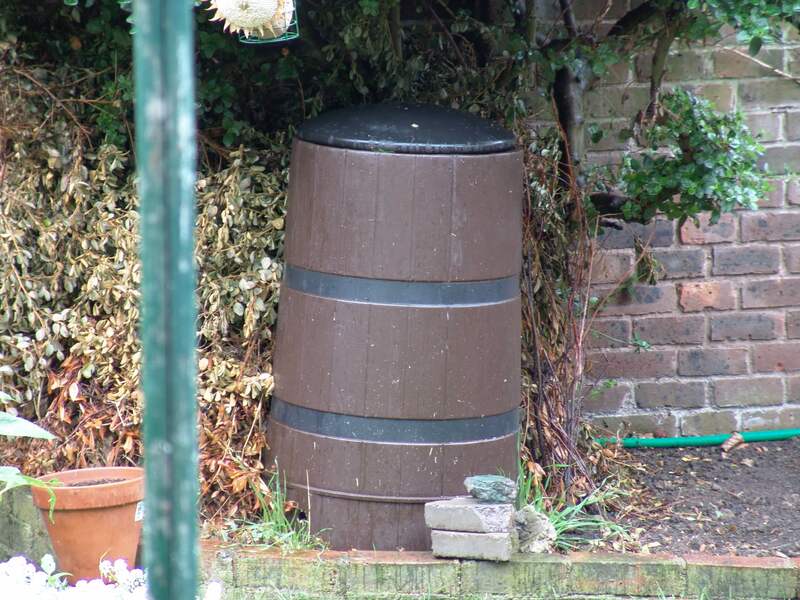 With a rat-proofed garden compost bin even cooked food can be composted. Without a garden an outdoor or indoor wormery can be used to compost uncooked food. Well-managed composting does not smell nor present a hygiene problem. And it's cheap or free. So get to it and help the planet! My family has been able to trim its consumption of energy, mainly mains gas and electricity, by conservation and also by generating some renewably. Domestic solar heating and electricity generation will not save money but can reduce overall CO2 emissions. A domestic solar power system will likely not pay for itself in the UK. In September 2005 a group of well-respected UK academics reported that the payback period for an investment in a solar PV system in the UK was 47 years. The equipment life might be 25+ years, so the chance of financial payback is low. Government grants improve the position, and there are reasons other than purely financial for installing solar PV (photovoltaics aka solar cells/panels). However, high capital and financing costs and sunlight of perhaps 2.5 hours per day may simply mean that pure financial payback never arrives for a small domestic installation. On the other hand, if your aim is to reduce your total carbon/energy footprint, then PV may save its manufacturing footprint in the first few years of a 25-year life. Solar water heating looks a lot more attractive than PV in terms of financial payback. Maybe much less than 10 years, and it is very likely that the equipment will last at least that long. And you should be able to recover/save the manufacturing 'carbon' input with no great difficulty within a year or so. But of course you don't get much hot water when you most want it, ie in winter. It should be possible to integrate it with an existing system to get some gain year-round. The study Can PV or Solar Thermal be cost effective ways of reducing CO2 emissions for residential buildings? (2006) reports that the carbon payback for [a] solar thermal system is 2 years, [and a] BIPV system has a carbon payback of 6 years. Simple economic payback times for both systems are more than 50 years. Calculations considering the [then] current UK energy price increase (10%/yr), reduce the economic payback time for the PV roof to under 30 years. The costs to reduce overall carbon dioxide emissions using a BIPV roof are £196/tonne CO2, solar thermal individual systems at £65/tonne CO2 and community solar thermal at £38/tonne CO2. The current spot market price for CO2 is £15/tonne CO2 (20). Capital costs for PV systems in particular must be significantly reduced for them to be a cost-effective way to reduce CO2. Hybrid solar PV/thermal (PV/T) systems may make more sense. The is because the unused (heat) energy that reduces the performance of PV can be usefully soaked up by the thermal system instead. In other words, you are very unlikely to save significant money with domestic solar energy in the UK. But you are more likely to help reduce CO2 emissions. What can really save you some money, and maybe the planet, is to eliminate waste by improving thermal insulation and saving electricity. 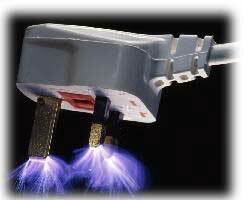 Go vampire hunting with a gadget such as the PM230 kWh meter, or the 2000MU-UK meter from Maplin, or a "Kill-a-Watt". Did you know that your microwave oven may use more energy in its lifetime running the clock 24x7 than you ever use to heat food? Turn stuff off at the wall when you're not using it! It's typically 5 to 10 times cheaper to conserve 1kWh/day than to generate it in the UK. In our case we're saving 1kWh/day by buying a replacement A+ fridge/freezer. (Slightly bigger because we needed more freezer space.) It cost us ~£550. We're saving maybe another 0.5--1kWh/day by replacing our washer/dryer. The new one has A-rated wash efficiency. It can also wash in cold water with suitable detergent. (Cost: ~£470). Putting in solar power to generate an average of 2kWh/day over the course of a year cost ~£7000. (Allowing for a good discount but poor roof direction.) Thus it is about 6x cheaper in our case to conserve each 1kWh per day. Maybe switch to a 'green' electricity supplier such as Ecotricity that's actually building new capacity. Eliminate a chunk of your carbon footprint in one "blow"! 2017/06/13: Bad for composting? Is There Plastic In Your Tea? : "... there is a bad side to your benign cup of tea, and that is plastic. Not just the plastic wrapper on the box, or the plastic pouch some teas come in, but plastic actually in the teabag itself." 2016/07/13: 15 Sustainable Gardening Ideas (that anyone can do!) including composting. The Organics Recycling Group (ORG), previously the Composting Association (www.compost.org.uk) then the Association for Organics Recycling (AfOR). The Energy Saving Trust: low-carbon buildings programme, generate your own energy. Members of the European Energy Network. There are various smart power-strips available to make it easy to turn off things properly and avoid bending down too often, or delving behind the sofa. Can PV or Solar Thermal be cost effective ways of reducing CO2 emissions for residential buildings? The carbon payback for solar thermal is 2 years, PV 6 years, and financial payback maybe 50 years. The British Photovoltaic Association said: "Energy generation and system cost will vary with each system, but a typical south facing system would generate approximately 750kWh/year per kWp installed, at a fully inclusive system cost of £7-8/Wp." Sustainable UK [archive, 2008] solar water heating info. The fantastic FreeCycle for giving useful things a good home, as an alternative to charity shops or landfill. Without Hot Air (free) book by David MacKay. Real crunchy numbers and a TreeHugger summary. BBC News Bin charges 'to boost recycling' story suggesting that on average 7.6% of UK domestic waste is disposed/recycled via a compost heap (cf 9.8% kerbside compost and 26%+ dustbin) and that 34%+ of dustbin waste is kitchen scraps, from 2006 Open University figures. An example of how to do it right. With large grounds maybe you can (pre) heat your DHW or radiators with compost. "Wormies coming out" compost video clip original. Page Media: video player raw video(3MB, 10.234s ) image. First published 2009-06-28 , updated 2019-04-22 . Site copyright © 2007-2019 Damon Hart-Davis. Hosted by ExNet.